SAN FRANCISCO, CA - MAR 6 2015: Illustrative editorial clip, macro ECU camera dolly and settle on Facebook 'Like' button; user clicks. Clip shows the importance of social media in everyday life. 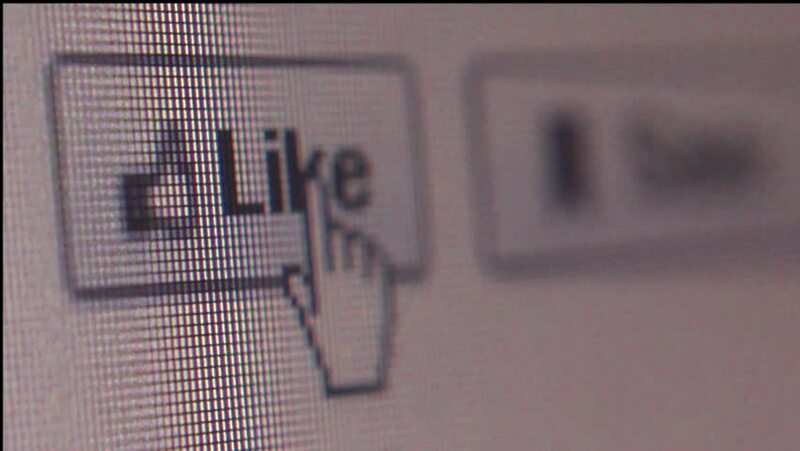 4k00:28SAN FRANCISCO, CA - MARCH 6 2015: Illustrative editorial clip shows macro ECU of user clicking on Facebook 'like' button, with camera dolly offscreen; clip shows the role of social media in our lives. hd00:211970s: Hand plugs cable into port "MIC". Finger adjusts volume of microphone, man speaks into it, projection moves frame-by-frame. Projector runs, beam flickers. Finger adjusts volume, tone control. hd00:24UNITED STATES: 1970s: Pedals moving. Lady talks in front of airplane. Lady and man talk next to plane wing. 4k00:07October 5, 2018 in Bali Indonesia. Closeup of computer screen with type want to find gmail address on web browser, Will type address browser.